Tests your wits, witches and wizards! 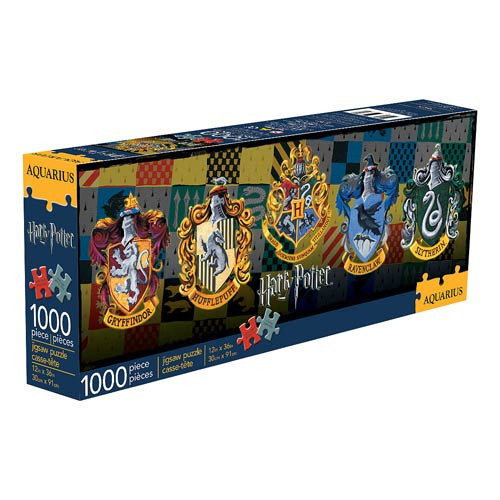 Assemble this Harry Potter House Crests 1000-Piece Slim Puzzle correctly and you'll be rewarded with a piece of art for your Hogwarts dormitory wall. This magical puzzle measures 36-inches tall x 12-inches wide once fully assembled. Ages 14 and up.